Mozafari, G., Moalemi, M., Nasr Esfahani, I. (2014). Agroclimate Zoning of Esfahan Province by Means of Moisture Indices. International Journal of Advanced Biological and Biomedical Research, 2(Issue 4 (2)), 198-207. Gholamali Mozafari; Mona Moalemi; Ismail Nasr Esfahani. "Agroclimate Zoning of Esfahan Province by Means of Moisture Indices". 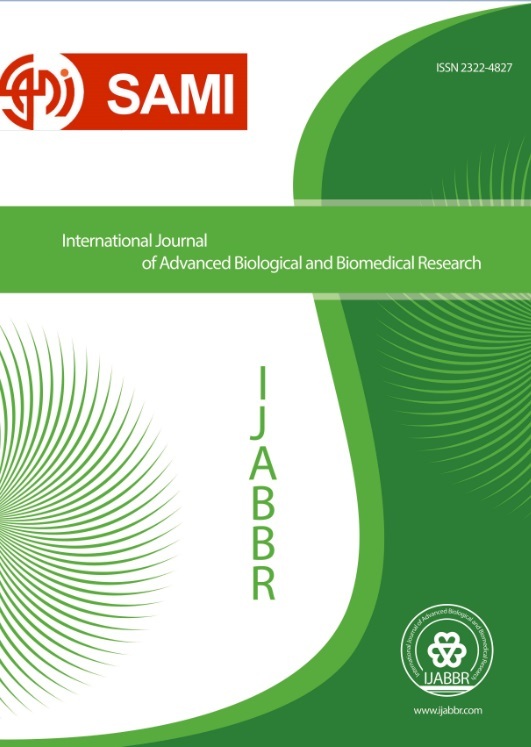 International Journal of Advanced Biological and Biomedical Research, 2, Issue 4 (2), 2014, 198-207. Mozafari, G., Moalemi, M., Nasr Esfahani, I. (2014). 'Agroclimate Zoning of Esfahan Province by Means of Moisture Indices', International Journal of Advanced Biological and Biomedical Research, 2(Issue 4 (2)), pp. 198-207. Mozafari, G., Moalemi, M., Nasr Esfahani, I. Agroclimate Zoning of Esfahan Province by Means of Moisture Indices. International Journal of Advanced Biological and Biomedical Research, 2014; 2(Issue 4 (2)): 198-207. The zoning of phenomena based on geographical location has a long history; any geographical zone is a part on ground level, which possesses noticeable internal consistency in terms of its existing phenomena and processes. Agroclimatic zoning is mainly purposed to determine agroclimate regions and to evaluate these zones based on their relative utility in order to cultivate varieties of agricultural crops. In the present survey, agroclimate of Esfahan Province (Iran) has been implemented by means of moisture indices so that based on these parameters to determine provincial agroclimatic potentials and restraints for agricultural plans. To conduct this study, several daily rainfall data were used from 27 meteorological substations during time period 1985-6 through 2009-10. The used moisture parameters included the review on history of start and end points of rainfall with threshold 0.1mm, start and end points of rainfall with threshold 5mm, surveying of rainfall thresholds, determining of rainfall rate during growth period, and start and termination dates of drought period. The derived results from this research show that there are many differences in several points of this province in terms of rainfall rate and starting and termination dates with thresholds 0.1 and 5mm as well as various rainfall thresholds and raining in germination phase so that this represents the lower level of annual rainfall in many parts of eastern, northern, and northeastern regions and some central and northwestern areas at this province while western, southwestern, and southern mountainous regions at this province (dry- farming plots) possess noticeable rainfall in comparison to other provincial regions during rainfall season. This may indicate lack of appropriate rainfall distribution. As a result, the received rainfall rate may meet the water requirement for provincial fields and gardens in agricultural planning in dry-farmed western and southwestern regions at this province. Thus, moisture indicators may not be considered as the only adequate and reasonable criterion for agroclimate zoning in Esfahan Province.